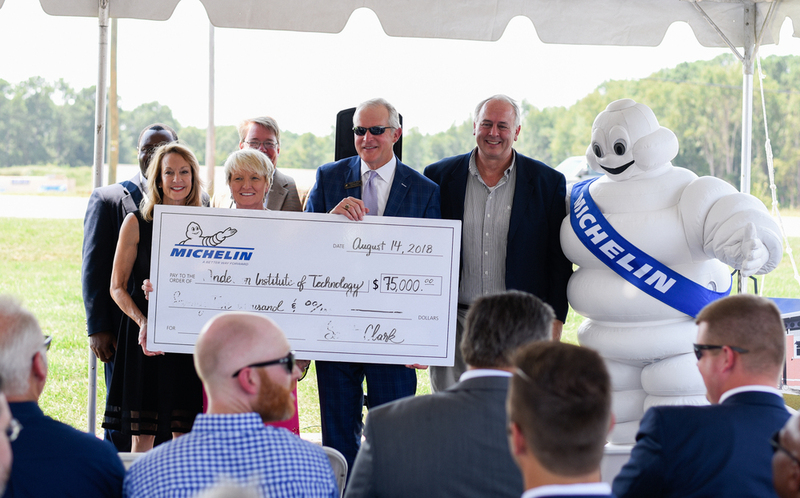 As the sound of ongoing construction continued on Pearman Dairy Rd, leaders of The Anderson Institute of Technology announced a new partnership with Michelin across from the site of the new facility. The company donated $75,000 to sponsor an entire wing of the new AIT campus. The new facility is scheduled to open for the fall 2019 school year and will partner with the adjacent Tri-County Technical College Anderson campus to prepare students and provide targeted training for the jobs of the future. Clemson University and Anderson University will also partner to provide gateways for students to receive dual credit opportunities. With Michelin's ongoing support, students will be able to receive on-the-job training at Michelin facilities as students of AIT.